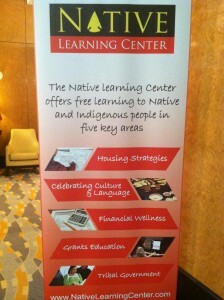 The Native Learning Center affiliated with the Seminole Tribe of Florida invited First Nations Development Institute to present at its Fifth Annual Summer Conference – Strengthening Tribal Communities Into the Future – in Hollywood, Florida, on June 5, 2013. 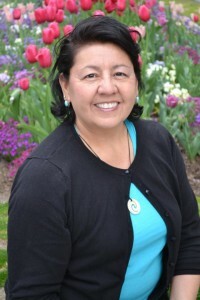 First Nations Senior Program Officer Montoya Whiteman (Cheyenne-Arapaho) spoke during a general session to approximately 150 conference attendees. She discussed First Nations’ history and purpose, the organization’s current My Green financial education campaign, and the Building Native Communities Financial Series, specifically A Journey to Financial Empowerment. Montoya noted that the opportunity to share First Nation’s work in this type of environment reinforces the importance of collaboration, and provides insight into demonstrated strategies, tools and research activities. “It also highlights the valuable resources that are free to Native communities and the public, and which are available through our First Nations website,” she added. To learn more about research models and publications, visit http://www.firstnations.org and click on the “Knowledge Center” tab, or simply click here. At First Nations, Montoya currently supports the organization’s Strengthening Native American Nonprofits Program through technical assistance, training, site visits, institutes, and webinars for improving nonprofit capacity and organizational effectiveness. She implements several U.S. Department of Justice Office on Violence Against Women grants, as well the Housing and Urban Development One CPD Technical Assistance grant. Most recently, she has taken on responsibility for overseeing a new project that will expand First Nations’ work to urban Indians and organizations, beyond its normal focus on rural and reservation-based Native communities.